Last Wednesday the Russian Olympic Committee named a provisional team of 386 athletes for the Rio Games. It was, for a few hours, a triumph of hope over expectation. Then realpolitik bit hard. The next day, that figure was scythed by 68when the court of arbitration for sport upheld the ban on Russia’s track and field stars competing in the Olympics. Come Sunday afternoon it could be slashed even further – possibly to a handful of athletes. At midday (BST) the International Olympics Committee’s executive board will discuss what to do next with Russia. 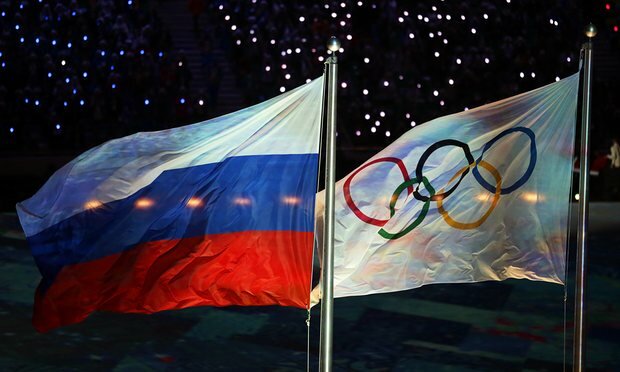 By 3pm a statement is expected to announce either a blanket ban or that each individual Olympic sports federation has the power to separately exclude Russian athletes from their competitions. Whichever way the IOC goes, there will be anger. The stakes are high. Not just for Russia, but for the Olympic movement itself. On Saturday night the IOC appeared to be moving closer to the position of track and field’s governing body, the IAAF, which refused to allow Russian athletes to go to Rio unless they could prove they were part of a comprehensive and compliant anti-doping programme. It recently gave clearance to just two Russian athletes – Darya Klishina, who trains in Miami, and the whistleblower Yuliya Stepanova – to go to the Games. Yet some fear delegating the decision to the individual federations could lead to huge inconsistencies. Some organisations, such as the International Weightlifting Federation, would be likely to ban Russian athletes wholesale because of the huge numbers of positive tests in that sport. As a result, many anti-doping groups want Wada and the IOC to make the decision over which athletes are allowed – not the federations. Last week 14 such organisations, including the United States Anti-Doping Agency, wrote to the IOC president, Thomas Bach, asking him to suspend the Russian Olympic Committeeand ban all Russian athletes from the Olympics – but to allow them to compete under a neutral flag if a taskforce, approved by the IOC and Wada, verified they were clean. They believe this will strike a fair balance between collective responsibility and individual justice “so that no truly clean elite Russian athlete is barred from the Olympic Games”. Others passionately disagree. Those arguing for a blanket ban believe it is the only punishment suitable for the gravity of Russia’s crimes, which have been laid bare by a series of reports finding “state-sponsored doping” from Wada, most recentlyby the Canadian law professor Richard McLaren. However, Ings also blames Wada for not doing more earlier, to give individual Russian athletes the chance to show they were clean. “It was all avoidable. Everyone knew there were serious problems with Russia in 2013 – yet Wada did nothing until nearly 18 months later. If this had been investigated immediately, then the Russians could be given a clear ultimatum detailing what they needed to do to qualify for the Olympics.